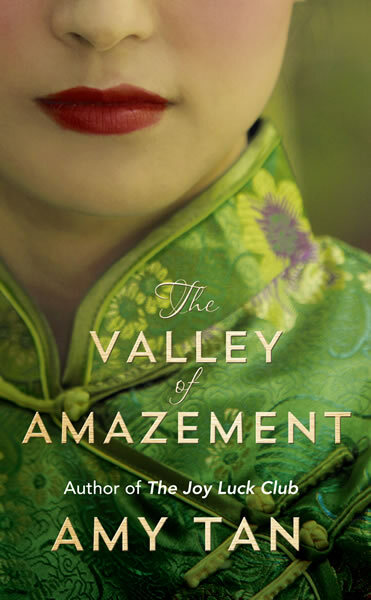 Amy Tan's The Valley of Amazement is a sweeping, evocative epic of two women's intertwined fates and their search for identity, that moves from the lavish parlors of Shanghai courtesans to the fog-shrouded mountains of a remote Chinese village. Spanning more than forty years and two continents, The Valley of Amazement resurrects pivotal episodes in history: from the collapse of China's last imperial dynasty, to the rise of the Republic, the explosive growth of lucrative foreign trade and anti-foreign sentiment, to the inner workings of courtesan houses and the lives of the foreign "Shanghailanders" living in the International Settlement, both erased by World War II. A deeply evocative narrative about the profound connections between mothers and daughters, The Valley of Amazement returns readers to the compelling territory of Amy Tan's The Joy Luck Club. With her characteristic insight and humor, she conjures a story of inherited trauma, desire and deception, and the power and stubbornness of love. New York Times bestseller, USA Today bestseller, Barnes & Noble bestseller, Los Angeles Times bestseller, IndieBound bestseller, San Francisco Chronicle bestseller, Library Journal pick, Amazon "Best Books of November" pick. “Tan’s books often deal with mother-daughter relationships, tapping her Chinese-American roots for the familial complexities that arise in the culture clash of East and West. It comes as no surprise that the underlying theme of The Valley of Amazement addresses these differences, but Lucia and Violet are unlike any mother and daughter we’ve met in Tan’s work and perhaps anywhere else."